Whether it’s computers, sewing, music or math, most of us are an expert on something. So, why not get paid for your expertise? Whether it’s for a vacation, paying the bills or online shopping, we could all do with some extra cash. Selling courses online is a great way to do that. Some people even make a full-time income from it. In today’s post, we’re going to cover all of the places where you can sell courses online. Can I sell a course online? Okay, so a lot of people think that unless they have a degree or a ton of experience with a subject, they can’t make money with these online teaching jobs. But, that’s definitely not the case. Maybe you enjoy gardening, and keep a well-manicured lawn with beautiful plant beds that your neighbors rave about. If so, then you could create a course on gardening. Or maybe you love to draw portraits. If so, you could create a course on portraiture. Perhaps you taught yourself how to code, and now do it for a living. Why not create a course on it? Maybe you work as a computer engineer, fixing problems for clients. If so, then create a basic computer course for seniors. Whatever your passion is or whatever you’re knowledgeable about, you can create a course on it. Remember, that we often take our own knowledge for granted, and assume that because we know something, everyone else must know it too. Let’s go back to the computer engineer example above. As a computer engineer, you know an awful lot about software and hardware, and how computers operate. But, many people don’t. A lot of people struggle with basic things like backing up files, and even with simple keyboard shortcuts. Or, let’s take photography for example. You might know how changing the aperture on a camera affects the final image, but many people won’t. Or, if you’re a writer, knowing the when to use the term “hung” as opposed to “hang,” or knowing the difference between “they’re”, “there”, and “their”, might seem obvious to you, but for others it can cause a lot of confusion. So, you could create a basic grammar course. As long as you have knowledge of the topic you plan to create course on, you can sell it online and make a profit from it. And, below, we’re going to cover some of the ways you can do it. The easiest way to make money from a course online is through online learning platforms/teaching marketplaces. These are websites that students can use to purchase courses in the subjects they’re interested in. These platforms have course creation tools and a marketplace where you can sell courses to students. And, these websites require people like you to create these courses. We would highly recommend these types of websites, especially if you are just starting out. Since they already offer course creation tools, and a marketplace of students ready and waiting to learn, these sites really make the process of selling a course so much easier. They offer an all-in-one solution. Let’s take a look at some of the best platforms to sell courses online. If you’ve ever looked into teaching anything online, then you might have heard about Udemy. It’s an online learning and teaching marketplace where students can take courses on a huge range of topics, from marketing to photography. To make money on Udemy, you become an instructor and create a course (or more). Udemy is one of the most popular websites of its kind, with more than 20 million students worldwide using the platform. Create a course on the topic you want. Handily enough, Udemy provides a host of free course design tools that are easy to use. And Udemy provides a step by step guide, featuring detailed instructions, for creating a course. You can view it here. Next, list your course for sale on the platform. There’s no fee for putting a course on there. You can price it between $20 and $200, in tiers of $5 – so $20, $25 dollars, etc. Udemy also includes information about pricing, which you can view here. Wait for students to purchase your course. Instructor revenue share on Udemy is ranges from 25% to 97%. You can learn more about Udemy’s revenue share structure here. Payment is sent via PayPal or Payoneer. Please note that in order to be able to charge for your course, you need to complete an application to become a Premium Instructor. Udemy has the details on how to do this here. It’s free to apply, and it takes around 2 business days to get approval. What’s good about Udemy is that it allows you to create really varied courses, which include lots of different things, like quizzes and videos. You can even create an optimized landing page for your course. And, Udemy handles everything for you, like customer support, payment processing, and hosting of your course files. So, all you need to do is create your course. If you’d prefer to create a video-based course, then you might want to check out Skillshare. With this website, you can create a video course on a subject, and sell it to students on the platform. Videos classes range from 30 to 40 minutes long, on average. Students with a Premium Membership pay a subscription fee, and then get unlimited access to premium classes on Skillshare. When students watch your videos, you earn royalties. All teachers earn a share of the revenue from student’s membership fees. You can also earn money when you refer another teacher to the platform. The next site on our list is WizIQ. It’s another cloud-based education platform. It’s been around since 2007, so it’s a pretty well-established website. Using WizIQ, you can create an online course and sell it on the site’s online marketplace. It takes just minutes to set up your online learning portal. What’s great about WizIQ is that you can create, deliver and sell online courses all from one place. The ability to create interactive online courses. Support for all file formats – so you can create a more varied course. The ability to add tests, quizzes, and surveys to your courses. Once you’ve created your course, students can enroll on it. Handily enough, WizIQ features an integrated e-commerce plugin that you can collect payments through. It supports a huge range of payment options, such as credit cards, PayPal, wire transfers, and debit cards. Coggno is another great platform to sell through, as it, like the other websites in this section has a marketplace. So, you can sell directly on the website. Once you’ve created your course, you can put in on the site’s Market Place of Training, upload it to your own website, and also Opt into Syndication. If you do that, you can sell your courses through 1000s of relevant websites. This really is a great platform for getting your course out in front of a huge audience. You get to control pricing and copyright, which is great as well. How much you keep of your course profits varies. You can learn about commission and the different pricing plans available for Coggno here. With OpenSesame, you can create a publisher profile and upload SCORM, AICC or video courses. Then, OpenSesame will publish your course on its marketplace. There are no upfront fees for using the platform, and you get 50% revenue. Of course, this isn’t like Udemy, where you use course creation tools to create your course. Instead, this is simply a platform to upload and sell courses. If you’re looking to teach students through your online courses, then another option to look into is starting up your own blog or website. You can then sell your courses directly on your own site. This method requires much more effort than the one above. It’s definitely more difficult and requires more of your time, but, it’s also, arguably the most profitable. Sure, when you sell your courses directly to students on platforms like Udemy and Skillshare, it’s a super easy way to make money. But, you don’t get to keep 100% of the profits, or you have a pay a membership fee to use the site. When you have your own platform, you keep 100% of your profits. When you start up your own site, you get full control of everything, from how your courses appear, to how you market them. And, you aren’t restricted by having to upload your course in any particular file format. One of the best aspects of selling through your own site, as opposed to using a platform like Teachable, is that you can build up your own brand. On platforms like Udemy, you’re competing with other course creators – but with your own site, you’re not. This can really increase the number of students that see your course content. Of course, there are a couple of cons to selling courses through your own website. The first is that while students already frequent platforms like Udemy, so they’re ready and waiting to buy courses, with your own website, you need to bring students to you. This means that you have to do more marketing than you would for Skillshare, and the other sites we mentioned above. Really, it’s just a matter of personal preference. The sites we mentioned above are great and definitely make selling your courses super easy, and of course profitable. But, selling course through your own site is definitely an option to consider. A domain name – this is the URL for your website. You can purchase one from a company like GoDaddy or Bluehost. Hosting: You also need to work with a hosting service. This is the company that hosts your site online. This isn’t too expensive either, and many companies, like Bluehost for example, offer domains and hosting together. A place to post your content. You’ll also need to use a platform like WordPress where you can upload your course content. And, you also might want to consider using a plugin like LearnDash. This is a learning management system plugin for WordPress. So, if you’re not sure how to go about creating a course yourself, then it could definitely help you out. The two methods we mentioned above are great ways to sell your courses online, but they’re not the only way you can get paid to teach. There are other sites out there that you can use to create and sell your courses online. The websites below give you the tools you need to create a course, and build your own online school. The difference is, these platforms don’t feature a marketplace where students create an account and then can browse through and purchase available courses. So, you’re not selling directly to students on there, like you would on Skillshare for example. Instead, they give you tools to create your own teaching website/course/online school, which you can use to sell your courses. You don’t have to create your own site, and get your own hosting and do all of those other things that come along with starting and operating your own website. Of course, the downside is, you have to pay for the service. So, yes, you get access to tons of tools that help you create your own branded online school or course, but you have to pay for them. Having said that, you don’t have to hire anyone to do jobs like coding for you, like you would if you had your own hosted site – so you save money there. This option is a nice midway point between the two methods we mentioned above. If you’re looking for a really easy to use platform, then we’d highly recommend Ruzuku. It’s an incredibly user-friendly website that allows you to create a beautiful course, with no tech skills. But, that’s not the only reason Ruzuku is so user-friendly. The platform also gives you tons of information and advice on course creation – much more than many other platforms do. It gives you support via phone, Skype, email, live chat, Facebook Group Knowledge Base, Training Courses and Tutorials. And, it will even give you a free 20-minute consultation to provide feedback on your course design. Aside from being user-friendly, Ruzuku also gives you access to tons of other benefits and features. Host and stream audio and video. So, you can add video content to your course to make it more well-rounded. Host and display PDFs, Word documents, PPT and other files. Upload and host pretty much any file you want for your students to download. Back up your content daily. Create a course-wide Q&A and forum. Get email notifications whenever a student posts a question. Live: These are scheduled, calendar-based courses with automatic email notifications. On Demand: These are evergreen courses with drip content. Open Access: These are self-directed courses. With Ruzuku, you can accept payments through Stripe, Paypal, Infusionsoft, or 1ShoppingCart. You can offer multiple price points for each course, and subscriptions for any course type. You can even offer coupons and free courses if you want to. Overall, this is a great platform for anyone looking to make money selling courses on the internet. Another great platform to check out is Teachable. It’s a website that’s similar to Udemy, where students can take online courses on a wide range of topics. It’s another popular learning platform, featuring more than seven million students. Sign up and name your school. Create your course. You can combine multiple different files, from PowerPoint presentations to videos, to create a varied course. Set the price for your course. Wait for students to buy it. With the site’s easy to use website builder, you can customize your online school – you can design your homepage, lectures and sales pages. Plus, your online school is fully optimized for web and mobile, so it looks good across all devices, from desktop computers to smartphones. And, you can also customize the code of your school too. Teachable differs from Udemy when it comes to revenue share. First of all there are different membership tiers available, which cost from $39 to $299 per month. It does have a free account option available. You get charged anywhere from 5% to 10% commission – or no commission at all, with the paid membership plans. If you’re just starting out, then you might want to try the free account. But, the commission that Teachable takes is much higher for the free account – $1 + 10%, compared to just 0% to 5% for the paid courses. Also, with the free plan, you don’t get access to all of the features that come along with the paid membership, such as graded quizzes, and a custom domain. There’s also a processing fee of 2.9% + 30¢ charged for all membership fees. Learn more about Teachable’s pricing and membership plans here. A great platform to try out is Thinkific. With this platform, you can create and host courses on your own branded website. This makes selling your courses online a lot easier. You get a website that fits in with your branding, and you don’t need any technical skills to do it. What’s great about Thinkific is that it allows you to create really varied courses. So, you can build courses that feature videos, PDFs, audio, text, surveys, quizzes and more – all without needing any technical knowledge or design skills. Also, you can link the courses you create on Thinkific with your existing website. Or, build a completely new course website using the site’s themes. With Thinkific, you get full control over student data, course content, pricing and marketing, which is great. Payments are handled through Stripe or PayPal. Thinkific has a few different membership options, ranging in cost from free to $279 per month. Obviously, each membership tier comes with different benefits. You can view the Thinkific pricing plans here. Learnworlds allows you create and sell courses from your own interactive online school. The platform, which has been featured by big outlets, such a Forbes, MIT Technology Review and edtechtimes, is a really good option for anyone looking to create a beautiful online school that looks truly professional. With the platform, you can create landing and sales pages easily, using its Pages Builder tool. So, you can easily build multiple pages, from your “about us” to your “pricing” page, using the platform’s Pages Builder. This makes creating an online school much easier. Tools to customize the style, logo and theme of your online school. Responsive designs. This means your courses look great across all devices. Support for multiple file formats. So you can create a varied course that includes a range of different media from interactive eBooks to quizzes to videos. 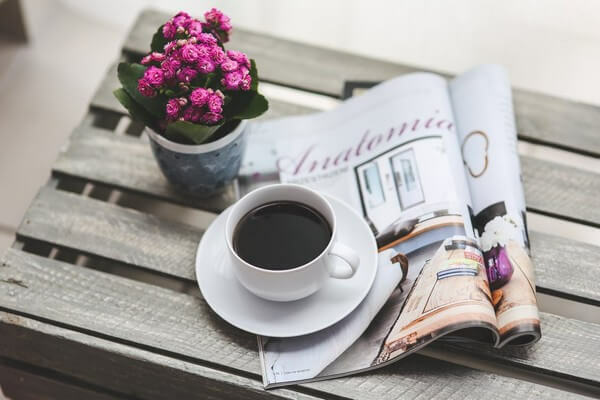 What’s great about Learnworlds is that, although like Teachable, it doesn’t have a marketplace, it does give you access to some great marketing tools. You can offer students subscription packages for your courses and get a recurring income. So, for example, you could offer a set number of courses for a specific time, for a monthly or annual fee, like 5 courses for $188 per month. And, there are five payment gateways to choose from, such as PayPal and Stripe. Another platform to check out is Learnyst. It features tons of handy tools, such as an easy to use drag and drop site builder, and SEO optimized landing pages. This makes starting your own online school super simple. One of the best features Learnyst has to offer though is mobile app integration. Unlike many of the other platforms on this list, Learnyst will create a branded mobile app for you. It instantly syncs your courses, quizzes and discussions, and uses your brand logo and theme to create your own app. This is such a great feature. CourseCraft is a really great platform that you can use to create online courses. The platform is great for both beginners who’ve never created a course before, and experts. So, if you’re just starting out, then this is definitely one to consider. Quizzes, surveys and forms you can add to your course. A lesson editing platform. This tool makes creating a course with different modules super simple. The ability to add collaborators. So if you want to create lessons with others, then you can. Hosting – CourseCraft will host your files, such as videos, images and downloadable course materials for you. The ability to integrate your course into your own blog or website. The ability to offer private courses with a set amount of students if you want to. You can connect your online school to PayPal or Stripe, and receive direct deposits from your students when they enroll on your course. This is a good option if you’d rather have your own site, but don’t know where to start with creating course. You can use CourseCraft’s course creation tools, and then integrate your course with your own website. Academy of Mine is an all-in-one platform that allows you to create, market and sell online courses. With Academy of Mine, you get your own branded, fully hosted course website, including landing pages. Then, you can customize it to fit your needs. You also get a readymade Course Creation and Learning Management System (LMS) platform. You can use this to create unlimited courses. Drag and drop templates that you can use to build your website. This is handy, as it means no coding skills are required. A Learning Management System. This allows you to set up courses and students. The ability to create quizzes and assignments. The ability to collaborate with other instructors. What’s great about Academy of Mine is that you can sell courses with various pricing options – you can take payment via credit card or PayPal as well. Plus, in addition to selling courses, you can also teach live classes. Academy of Mine offers a free 30 day trial, which is great. And it’s membership plans start at $39 per month. What’s great about the platform is that it doesn’t charge commission on sales. With Kajabi, you can easily create a course with the site’s course builder and then set up your own branded online store. Plus, Kajabi offers a built-in shopping cart, which means you can easily get paid when your courses sell. Kajabi is a really great place to sell a course, because not only does it offer course creation tools, but it also offers some marketing tools as well. With it, you can build fully automated marketing campaigns – this definitely sets Kajabi apart from the other places we mentioned in this section. According to the site, its users have made more than $500 million selling courses. The ability to choose your own domain name. The ability to set your own prices – there are zero transaction fees. Overall, it’s a great platform to check out. With this platform, you can create your own course. You don’t get your own branded website though, as you do with Thinkific. But, it does give you a place to display all of your course materials for sale. Organize your courses into categories. Add downloadable documents, PowerPoint presentations, tests, surveys and more to create a cohesive course experience for your students. Add unlimited learners to your course. Easily manage the students that enroll on your course. What’s great about the site is that it handles credit card processing, so you don’t need a merchant account. Another great aspect of Click4Course is how easy it makes managing students. Using it, you can manually add/register students for your course, or allow them to register themselves. Or, you can enroll students in bulk. So, if you already have a group of students you want to teach, then you can use an existing Excel list of students to upload to Click4Course at once. You can even export a list of all of your students into an Excel spreadsheet at any point. And, you can also create student groups and send them notifications. Student management is definitely an area where this platform excels. While Click4Course, like the other platforms on this list doesn’t have its own marketplace, it does have a few marketing tools. For example, you can create and offer discount codes for students. It costs $79 per month, but if you pay for the whole year, then you get a 20% discount. The site only takes 10% of your course earnings though, which is far lower than many of the other platforms on this list. And, this charge includes all credit card processing and transaction fees. Pathwright is another one to check out if you’re looking for a platform you can use to create online courses. Using Pathwright, you can create your own online school, which students can create an account with. Present your course in actionable steps. Add different media, like video, audio and written tutorials to your course. Add tests, quizzes, discussion exercises and more to your course. Offer printable certificates to your students upon course completion. Once you’ve created your course, you can upload it to your own online school. You can choose the theme you want, and launch your school under your own name. Plus, you can choose your URL. What’s great about launching your course on Pathwright is that it looks great on mobile devices as well. You can then sell your courses, and offer monthly or yearly subscriptions for it if you want to. There are a few marketing tools available as well. For example, you can create pitch pages. One-page checkout is available too. Overall, this is a good, easy-to-use option for anyone looking to launch their own online school. Educadium is another user-friendly course creation platform. Like many of the other platforms in this section, it’s a cloud-based Learning Management System (LMS). It offers a number of great features. Using its LMS system, called EasyCampus, you can store digital materials and create online classes. And, when you add Custom Tuition Payments, you can integrate your own PayPal account into your EasyCampus site. This means that you can route all student tuition payments directly to your PayPal account. Set up in five minutes. Have access to secure hosting. Enroll students automatically after payment. There’s a free trial available. Plans start from $99 per month. You can learn more about pricing plans here. With Digital Chalk, you can create interactive courses online. You can add multiple types of media, from videos to PowerPoint presentations to enrich your course. Plus, students can take your courses across all devices, from their computers to mobile phones. You can also track student progress on there, which is great. Also, you can add downloadable content to your course. Digital Chalk offers an integrated eCommerce Suite. It’s an all-in-one-solution, so you don’t need to have your own merchant account or payment gateway – the site handles that for you. This is another platform that has a lot of different membership options, which are all priced differently. So you can check those out here. Zippy Courses is a piece of software that’s designed for creating, selling and running an online course. Use the platform’s drag and drop Course Builder to create a course quickly. According to Zippy, if you can point and click with a mouse, then you can build a course on there. Edit, rearrange and update your course at any time. Sell different versions of your course. Zippy offers something called Access-Tiers. These allow you to create one course with multiple tiers, and sell it at different prices. This means that you don’t just have to sell one course at one price. Sell your course as an “evergreen” course or open and close enrollment. Release all of your course content at once or drip your content instead, and release it in increments. Send automatic follow-up emails to students. Customize your course pages to match your brand. Integrate your course with other services, like AWeber and Mailchimp. And, integrate with shopping cart and payment services, like Stripe, PayPal, and Infusionsoft. Overall, this is a great platform for anyone who wants to create and sell courses, but don’t have the tech skills required. This site differs to the others on this list. Unlike with Teachable, where you can create your course, Course Merchant is solely an eCommerce solution/shopping cart. So, you need to upload an existing course you’ve created – you can upload courses from LMS systems, like Moodle and Totara. With Course Merchant, students can enroll instantly upon successful online payment and/or registration. Then, Course Merchant handles the whole checkout process and payment, offering a number of different payment gateways, including offline and custom payment options too. 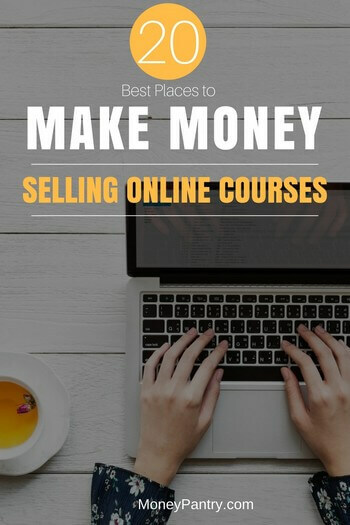 How much money can you make selling courses online? As you can see, there are so many platforms out there that you can use to sell course online. Whether it’s setting up your own WordPress powered website, or using a platform like Udemy where you can create and sell a course all in one place, there are so many options available. And, just as the features on offer from these different platforms varies, so does how much you can earn. Number of courses you sell. Amount of courses you make available for sale. While giving an exact, across the board figure isn’t possible, we can take a look at a few examples. This will give you a better idea of the earnings potential of this endeavor. 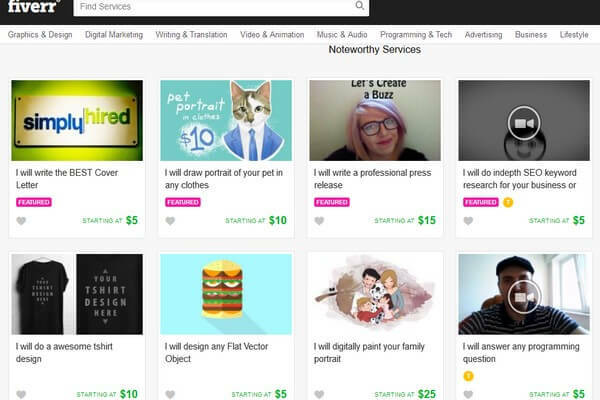 This person on Reddit claims to make $550 a month with Udemy. According to Skillshare, first-time teachers, on average, earn $200 in their first month. Skillshare also claims its top teachers earn $3,000 per month and $40,000 per year. Felicia Ricci earns $3,000 to $5,000 a month through her courses on Udemy. Everyone is an expert in something, and everyone has something valuable to teach others. Whether it’s how to take good photographs, how to write a novel, or how to write code, you can create a course and make money from it online. Sure, you have to put a little work in upfront. But, once that’s out of the way, you can sit back and continue to earn money residually. And, making money passively is, arguably, one of the best ways you can boost your income. It means that you can put your time elsewhere, but still earn. Give one of these options a try, whether it’s selling a course through Udemy, or starting your own teaching website. 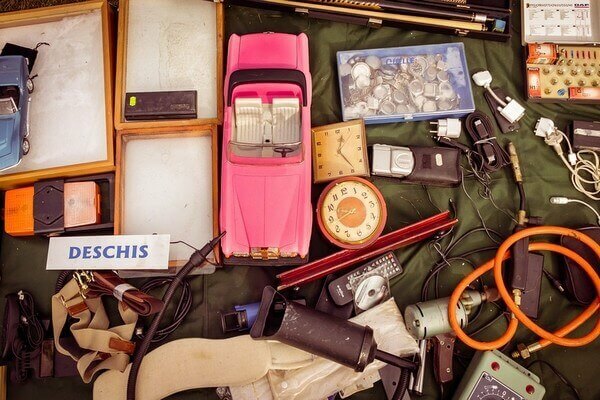 Dumpster Diving has the possibility of gaining a criminal record. I kmow a few individuals that have learned that the hard way. Good point, Brent! Always make sure you are following the law when dumpster diving. Some places allow it, others don’t, so make sure you check before you dive! This is such a great post. A friend of mine is considering creating some video courses online and earning extra money from that. This is the perfect article for him to read. I love the tip about using your own blog. That is exactly how you can maximize the money you make from your courses, especially since all revenue is yours. It’ll take time to get traffic to the site, however. It could be useful to put the courses on other platforms and once your base grows a little, you can sell on your blog later. Thank you for sharing such a great piece! Thanks for the kind comment, Stefan, and thanks for reading!